The Committee on Global Thought enjoys featuring emerging authors and their new works at Columbia University. 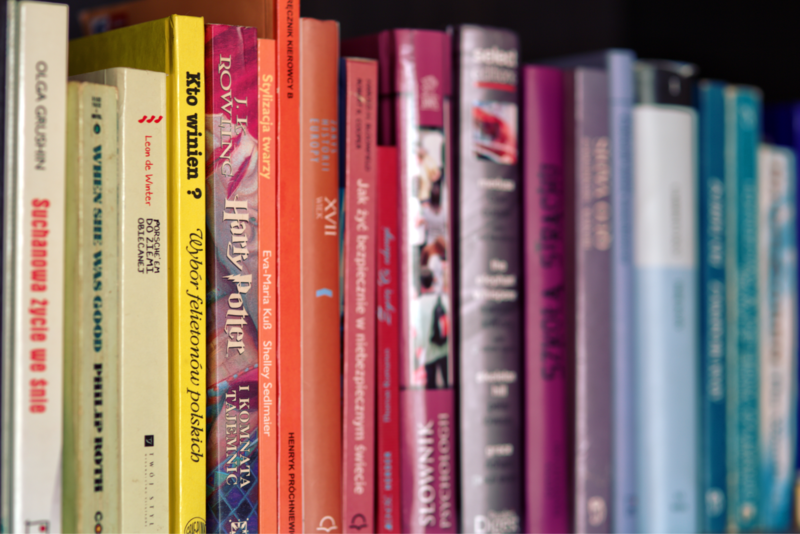 These Book Talks are a popular forum for Columbia faculty, students, and members of the public to engage in critical discussion outside the classroom. Co-organized with Columbia Global Reports, who commission authors to do original on-site reporting around the globe, the aim is to combine the immediacy and narrative power of journalism with the intellectual ambition and acuity of scholarship. These free events are open to all members of the campus community as well as the general public. Panelists include the book author along with CGT faculty, as well as respected members of the literary community. Dec. 6, 2016 at Columbia Journalism School with Helon Habila, Brian Larkin, Shobana Shankar, and Nicholas Lemann. Watch the video. Nov. 10, 2016 at Fayerweather Hall with Bob Swarup and Perry Mehrling. Read more about the event. 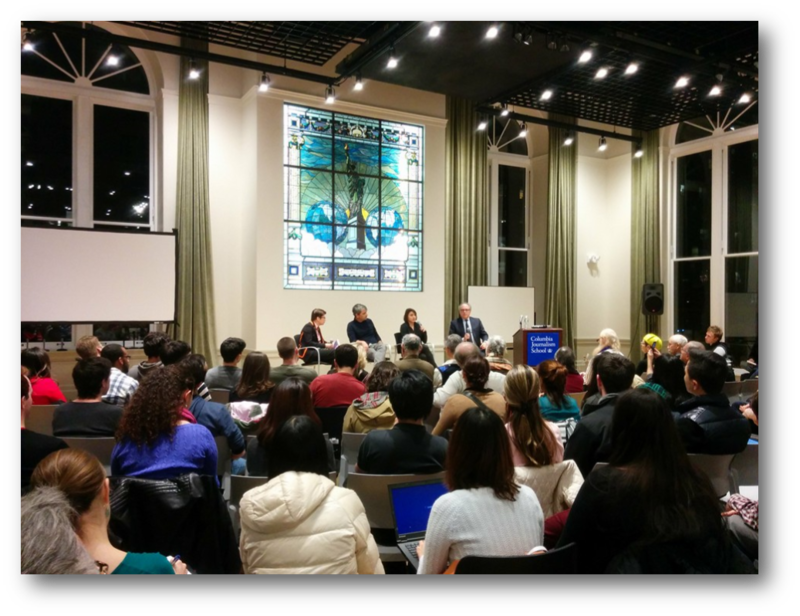 Nov. 17, 2015 at Columbia Journalism School with Atossa Araxia Abrahamian, Nicholas Lemann, Rosalind C. Morris, and Joseph O’Neill. Watch the video. Feb. 10, 2016 at Columbia Law School with Sasha Issenberg, Michael W. Doyle, and Nicholas Lemann. Watch the video. Apr. 14, 2015 at WEAI International Affairs Building with Marco Magnani, Bruce Greenwald, Dominick Salvatore, and Vishakha N. Desai. Learn more about the event. Nov. 17, 2014 at Faculty House, Columbia University with Kenneth J. Arrow, Scott Barrett, Patrick Bolton, Bruce Greenwald, Geoffrey Heal, Eric Maskin, Paul Milgrom, Bernard Salanié, José Scheinkman, Jay Sethuraman, Joseph E. Stiglitz, and Jan Svejnar. Watch the video. Oct. 24, 2013 at Earl Hall, Columbia University with Michael Doyle, Joseph Stiglitz, and Jan Svejnar. Learn more about the event. Apr. 25, 2013 at International Affairs Building, Columbia University with Kenneth J. Arrow, Christian Gollier, Bernard Salanié, Joseph Stiglitz. Watch the video. Nov. 27, 2012 at Uris Hall, Columbia University with Madhusree Mukerjee, Partha Chatterjee, and Anya Schiffrin. Learn more about the event. Apr. 10, 2012 at Low Library, Columbia University with Kenneth J. Arrow, Amy Finkelstein, Jonathan Gruber, and Joseph Stiglitz. Watch the video. Jan. 31, 2012 at International Affairs Building, Columbia University with Nicole Pope. Apr. 12, 2011 at Low Library, Columbia University with Partha Dasgupta, Kenneth J. Arrow, Geoffrey Heal, Scott Barrett, and Joseph Stiglitz. Watch the video. Nov. 29, 2010 at Low Library, Columbia University with Kenneth J. Arrow, José A. Scheinkman, Patrick Bolton, Sandy Grossman, and Joseph Stiglitz. Watch the video. Sep. 13, 2010 at the Heyman Center for the Humanities, Columbia University with Pranab Bardhan. Dec. 11, 2009 at International Affairs Building, Columbia University with Kenneth J. Arrow, Amartya Sen, Thomas W. Lamont, Eric Maskin, and Joseph Stiglitz. Watch the video. Nov. 12, 2008 at Casa Italiana, Columbia University with Kenneth J. Arrow, Bruce Greenwald, Joseph Stiglitz, Philippe Aghion, and President Lee Bollinger. Watch the video.